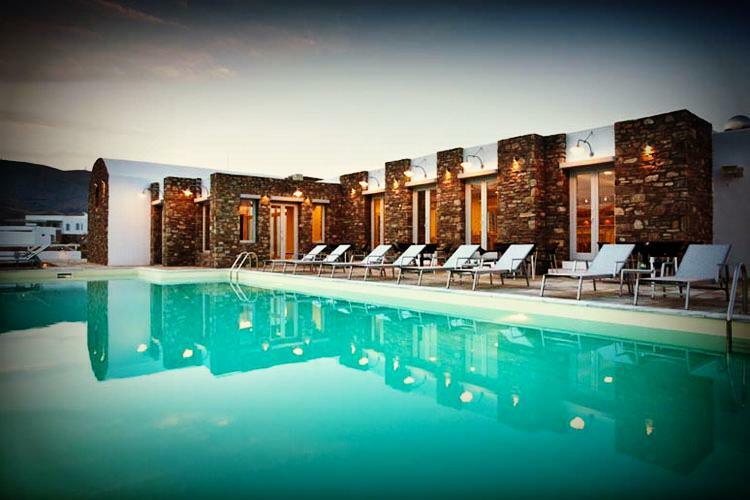 Enjoying a fabulous location on the beautiful little island of Serifos, Rizes Hotel is a new build property located on a rise above the beach at Psili Amos and just two kilometres from Livadi. 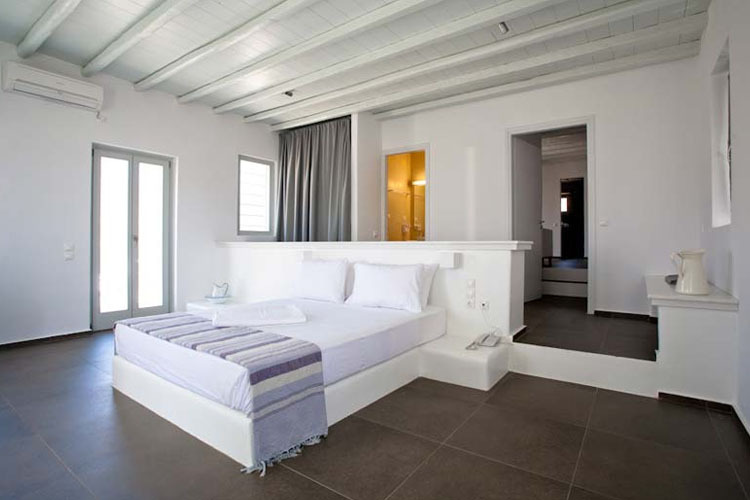 This charming boutique hotel offers comfortable accommodation and traditional Greek cuisine in a delightful island setting. Strategically located between the island's capital, Chora, and the port at Livadi, Rizes Hotel is perfect for exploring this spectacular island, one of the best-kept secrets in the Cyclades. With more than 70 beaches, the most famous being Psili Amos, Agios Sostis, Lia, and Agios Ioanis, crowds are never a problem on Serifos. The island's capital, Chora, perched dramatically on a hill, is widely considered one of the most beautiful island capitals in Greece, with its snow-white houses with colourful windows, narrow streets, charming churches and traditional windmills. The best way to explore the island is by walking its hiking trails, which criss-cross the island and take visitors to some of the most isolated spots and hard to reach beaches on the island. Fine Greek cuisine is offered at the hotel's poolside restaurant, where guests can enjoy sweeping views of the bay, the sea and the Chora in the distance. Guests can also enjoy moments of quiet relaxation in the terrace cocktail lounge, with magnificent harbour views. The senior suite is a standalone building of 60 sq m that can accommodate up to 4 people. It features a private pool, 2 bathrooms and a large terrace overlooking the harbour and the town of Serifos. The style is minimalist, with built-in beds, benches, kitchen and built-in shower. The dominant materials are stone and wood in white and grey. The superior suite is a standalone building of 97 sq m with 2 separate rooms and can accommodate up to 6 guests. It features a private pool, 2 bathrooms and a very large terrace overlooking the harbour and the town of Serifos. The construction style is minimalist, with built-in beds, benches-stalls, kitchenette and shower. The dominant materials are stone and wood in white and grey. All units feature: DSL Internet Connection; air-conditioning; bath amenities; bathroom with shower; closet; daily maid service; full-length mirror; hair-dryer; internet access; kitchenette; mountain and sea views; non-smoking rooms available; private balcony or terrace; razor plug; refrigerator; room service (from 12 noon to 24:00pm. ); safe deposit box; sofa bed; TV; writing desk.